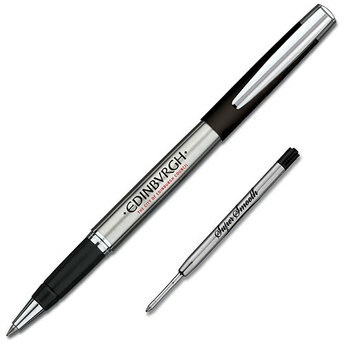 A superb value all rollerball and ballpen available in brushed stainless steel with matt silver or matt black laquered styling with bright nickel fittings. 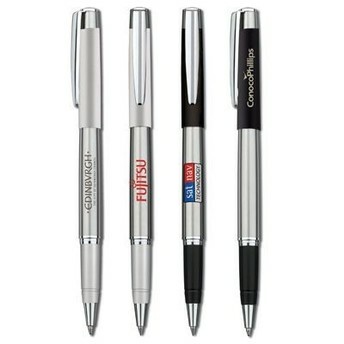 Suitable for both screen printing and laser engraving to reveal an iron grey colour on the brushed stainless steel and a light bronze on the cap. 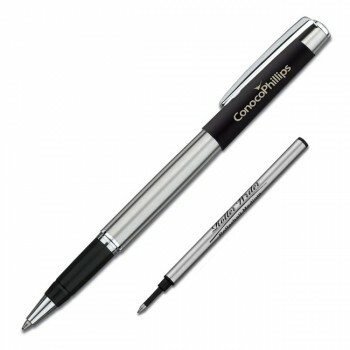 This pen has black ink and a high quality metal Parker style- super smooth- black ink refill.